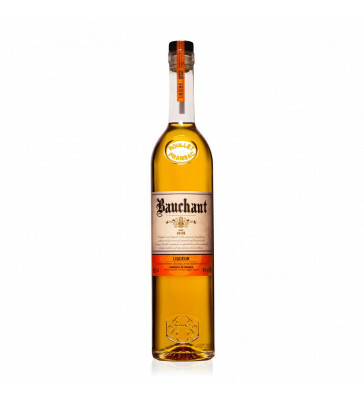 "Bauchant" Orange liqueur with Cognac ROULLET FRANSAC, 70cl. Result of the perfect blend of orange extracts from the island of Curacao and Cognac. 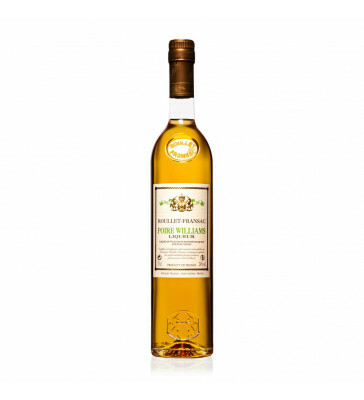 ROULLET FRANSAC Pear liqueur with Cognac, 70cl. Elaborated by a slow distillation of Williams pears from French orchards. 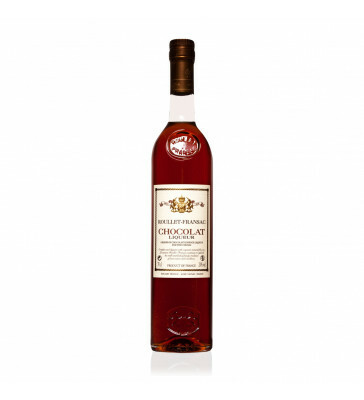 ROULLET FRANSAC coffee liqueur with cognac, 70cl. Perfect fusion between roasted coffee beans and a selection of our Cognac of at least 2 years of age. ROULLET FRANSAC mint and chocolate flavored cognac liqueur, 70cl. Unusual marriage of chocolate-mint and Cognac notes. 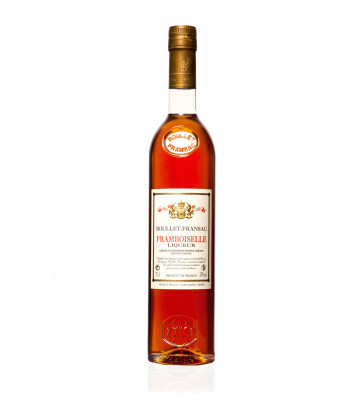 La Framboiselle, Raspberry Liqueur FRANSAC ROULLET with Cognac, 70cl. Liquor obtained by infusion of fresh raspberries in a selection of Cognac of at least 2 years of age. 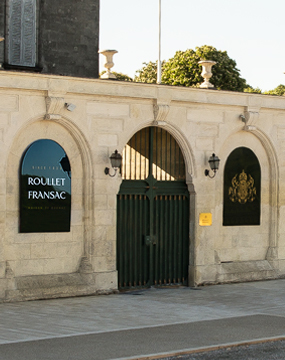 ROULLET FRANSAC Chocolate Flavored Cognac Liqueur, 70cl. Perfect harmony intense and balanced, with gourmand notes.